Explore kaleidoscopic scenery from gorges to canyons to the Painted Hills. The Columbia River Gorge is the largest national scenic area in the United States: a land of natural contrasts between rainforest and desert, sea-level passage and alpine meadows. A network of hiking trails climbs from lowland forests to windy ridges on both sides of the Gorge. The river itself hosts the best windsurfing and kite boarding conditions this side of Hawaii, and the nearby snowcaps of Mt. Hood and Mt. Adams offer downhill and cross-country skiing well into spring. Yet the Columbia Gorge is also home to more than 70,000 people, and they’ve created a rich culture. There are historical museums and art centres, fine dining restaurants, theatres, wineries, a wealth of recreational opportunities and much more. 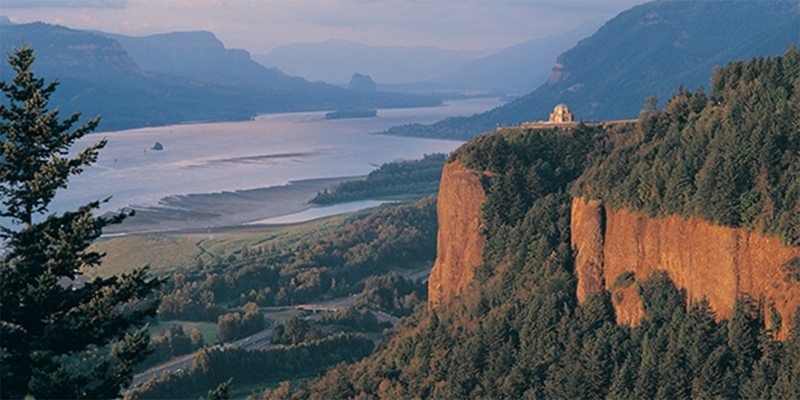 The Columbia Gorge is also a place of history. Its geologic origins date to massive flows of lava millions of years ago, carved much more recently by tremendous icy floods at the end of the latest glaciation. Native Americans settled here at least 10,000 years before the first European explorers. The Lewis and Clark Expedition came down the Columbia Gorge, and the Oregon Trail pioneers followed soon after, pausing briefly before continuing their journey westward. 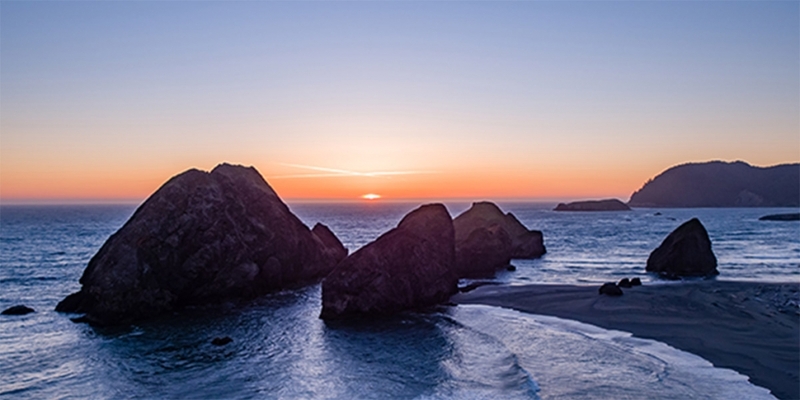 Oregon’s share of the Pacific coastline owes its international reputation to the rugged beauty and natural wonders found all along its nearly 400-mile length. Lewis and Clark ended their epic journey on the north coast near Astoria – a wonderful place to start yours. 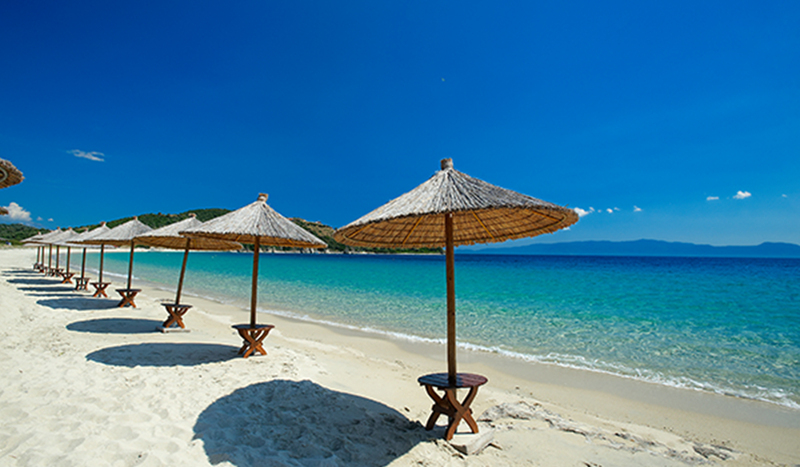 The entire coast is studded with singular sights, from dramatic rock formations to churning whirlpools to miles and miles of sandy beaches. The rich history of the coast is offered up in the world-class Oregon Coast Aquarium in Newport, a host of museums and historic homes, and inside Oregon’s lighthouses. As you reach mid-coast, the landscape changes dramatically: the impressive Oregon Dunes National Recreation Area includes 32,000 acres of shifting sand dunes, up to 385 feet high, in Sahara Desert-like scenery. A bit further south, you can enjoy tidepooling at Sunset Bay and Cape Arago State Park. 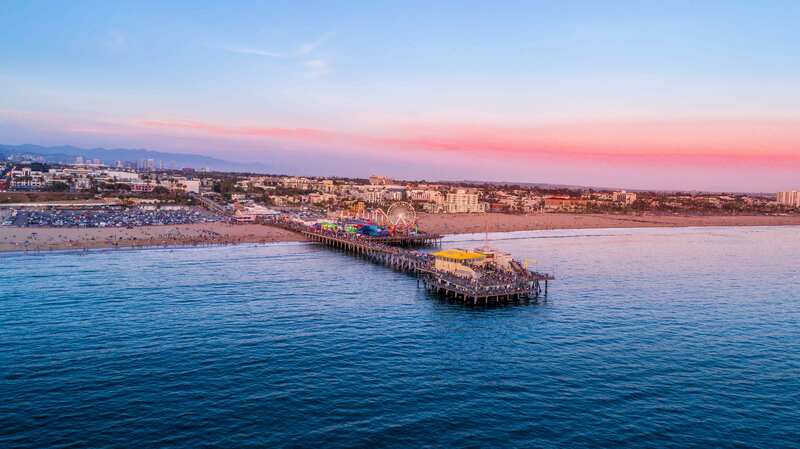 Some of the state’s best camping parks are on the edge of the ocean, as are recreational opportunities galore – whale-watching, fishing, golfing, surfing and hiking. The Hells Canyon Scenic Byway encircles the Wallowas. This 213-mile road trip has something to offer nearly every traveller, from the outdoor adventurer to the fine art-seeker, from the rodeo-fan to the craft beer-lover. Visit the Wallowas and discover why it is one of the 7 Wonders of Oregon. 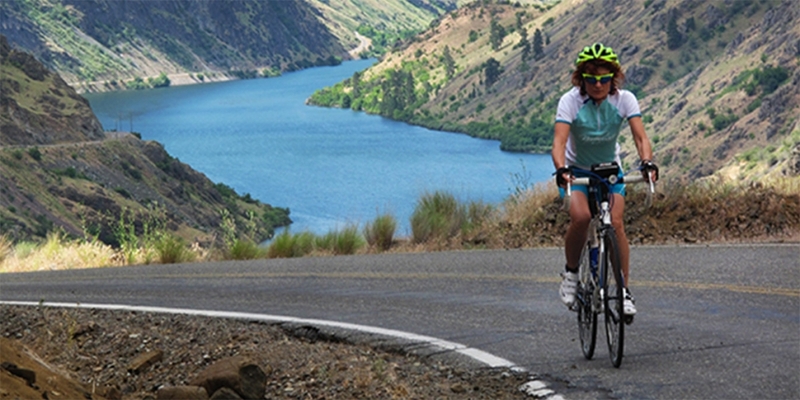 Hells Canyon Scenic Byway lets you follow the contours of the land into slower times and wilder places. Journey from the river’s edge to the mountaintops and down to the valley floors. Have lunch overlooking a wild and scenic river and share a canyon road with a cattle drive. 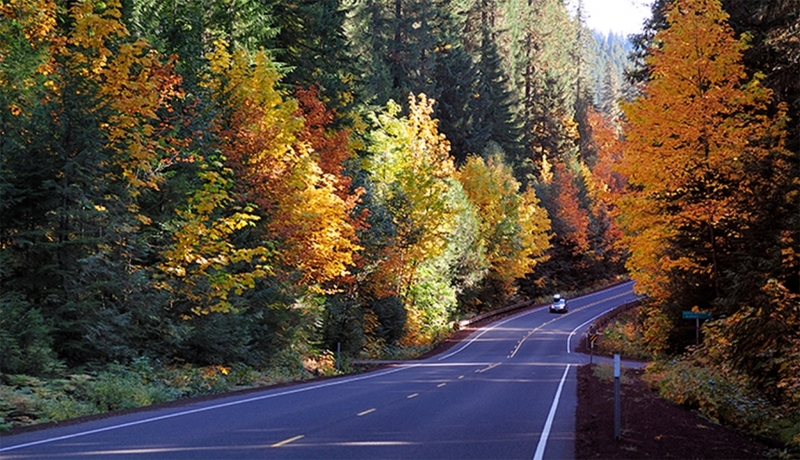 Pass through lush valleys, rimmed by the snow-tipped Wallowa Mountains. Savour the scent of pine on the fresh mountain air and enjoy panoramic views of rugged basalt cliffs and grassy open ridges. Stand next to the majestic Snake River as it begins its tumbling course through North America’s deepest canyon, or ride the rapids on a raft or jetboat. 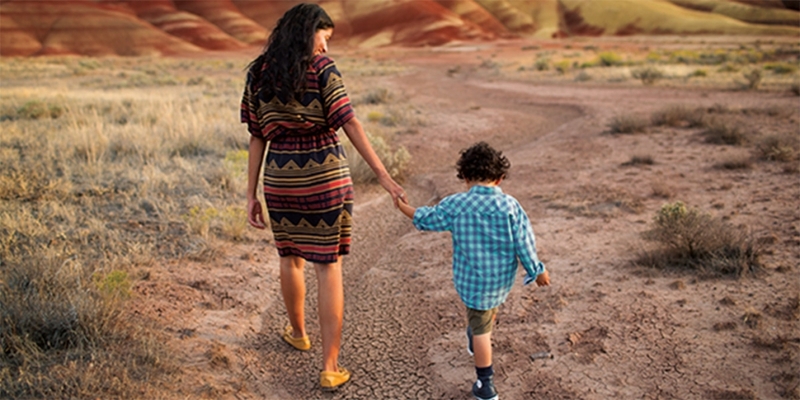 When you travel to the Painted Hills, you can see millions of years of history revealed in the layers of mountains of earth, one colour at a time. The hills get their name from the delicately coloured stratifications in the soil; the yellows, golds, blacks and reds of the Painted Hills are best seen in the late afternoon. Tones and hue may appear to change from one visit to another, as the claystones differ with ever-changing light and moisture levels. Once you see them for yourself, it’s pretty easy to understand why the Painted Hills are one of the 7 Wonders of Oregon. The Painted Hills are one of the three units that comprise the John Day Fossil Beds. Take time to also visit the Clarno Unit, with Mars-like pillars formed by waterfalls and volcanic sludge, and the Sheep Rock Unit, where fossils of plants and animals such as saber-toothed cats are on display at the Thomas Condon Paleontology Center. Scientists study 50-million years of plant and animal evolution and a collection of 40,000 fossils here; you can learn how early cousins of elephants and rhinos roamed the earth you’re standing on. To get there, take the Journey Through Time Scenic Byway through the ghost town of Shaniko, then on to the town of Fossil (named after the mammoth bone found there), where you can dig for your own fossilised souvenir. Plan to stop at the Kam Wah Chung and Co. Museum in John Day, a perfectly preserved drugstore from a century ago.